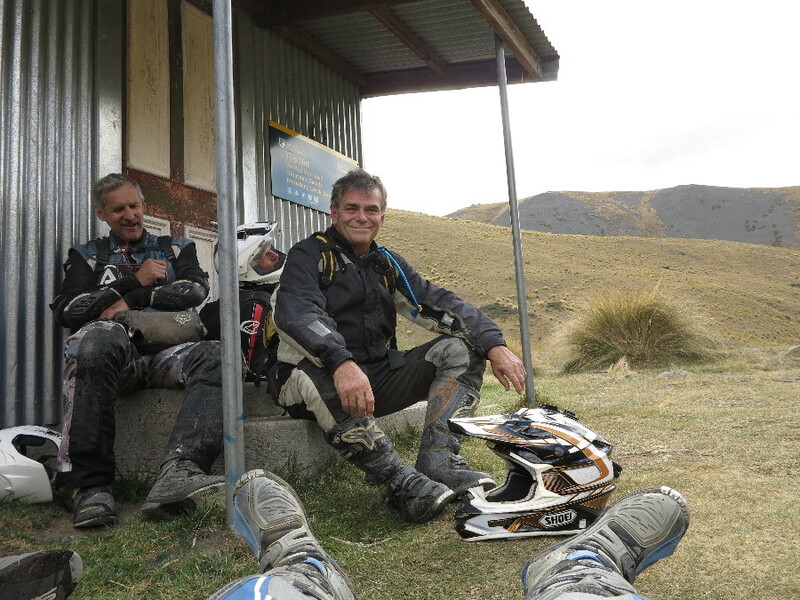 For all the riding I have done anywhere in NZ or overseas there’s little as satisfying as our own South Island high country. Recently I got the chance to spend five days with good friends riding these magic mountains again. As a bonus I got to pilot Yamaha’s new 2016 WR250F for a fairly decent distance - just on 1500km as it turned out. When Yamaha’s YZF motocross-based WR250F was introduced in 2001 it was the first truly competitive 250cc four-stroke enduro bike. For many seasons Yamaha’s competitors would struggle to produce their own quarter litre four stroke to rival the combined power and reliability of the WR250F. Brilliant as the WR proved to be it became the target and with relatively few significant upgrades, barring an alloy frame, the WR by 2008 was seeming lack-lustre compared to the Euro enduro specialists KTM and Husqvarna. Yamaha’s 2016 WR250F finally redresses the balance. Forget holding the line, the only characteristic the new model shares with its predecessors is the colour blue. The WRF model is Yamaha’s purpose built enduro bike and is partnered by the very similar but more cross country competition oriented FX model. Both models are again closely based on the YZs; new frame, backwards leaning reverse exhaust, fuel injected engine and updated suspension - albeit tweaked to perform in the enduro and trail environment. Finally Yamaha can again boast that the WR250F is based on the cutting-edge MX models. On top of the YZ upgrades the WR250F gets the addition of a 6 speed gearbox, slightly heavier flywheel rotor and enduro suspension settings. In the crate WR models share extra noise baffles for Australian compliance rules, but here in NZ the bike you will be wheeling out of the dealer is a de-restricted competition ready tool. In addition each bike comes with a road legal kit which can be fitted, or not, depending on the buyers preference. Yamaha also provide owners the option of different exhaust systems and engine tuning maps that can further personalise the WR250F. The first offroad climb confirmed that the new engine is a massive improvement. Where the old five speed WR would rev all day, every day, it lacked true low and mid range punch. To ride fast the rider had to anticipate uphills and deep berms with extra engine revs. In contrast the new bike lacks nothing in terms of power. Right off the bottom this motor gets into its work crisply and cleanly, building great midrange with seamless top end to follow. Combined with six well-spaced gear ratios it lacks for nothing and while delivering great all round power remains totally controllable, even for relative beginners. In a former life as a dirt bike tour guide I did a massive number of kilometres on the old WRs and trained myself to ride the 5 speeders a gear lower than felt comfortable, to negate the lack of real bottom end. It was only a partly effective strategy, and not always a load of fun. In contrast the new reverse engine, with its six gears and vastly increased bottom to mid range power delivers so much more. I could literally take a pick of ratios, a gear high, or a gear low, it made little difference, the new bike maintained momentum and rear wheel drive with ease and little need to bother with the clutch. An unexpected bonus was to find that the new motor has gained a sneaky degree of ultra low end stall-free tractability, great for getting over rock ledges, logs, tree roots and unexpected trail nasties. Like the old Swedish Husabergs the WR250F is one bike that sounds noisier to the rider than those around it. With the airbox breathing right below the rider’s head you get a certain amount of induction roar especially, when you crack the throttle. However the exhaust noise overall is not offensive in any way and I liked the way the airbox growled when you down to business. The WR250F suspension proved to be my second revelation. The new forks deserve special mention. Initially plush over small stuff like rocks and tree roots they now reserve good mid stroke control with sufficient bottoming resistance at the death. The result is that both front and rear are plush at low speed, yet well controlled when the pace gets up and give a well-balanced feel over a wide variety of terrain. 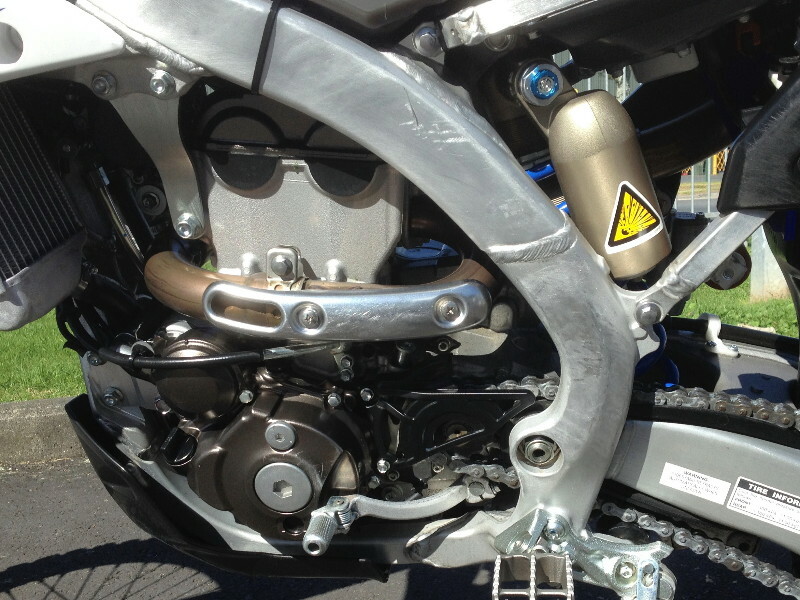 While the chassis stills exhibits that familiar neutral Yamaha feel, the steering is accurate. 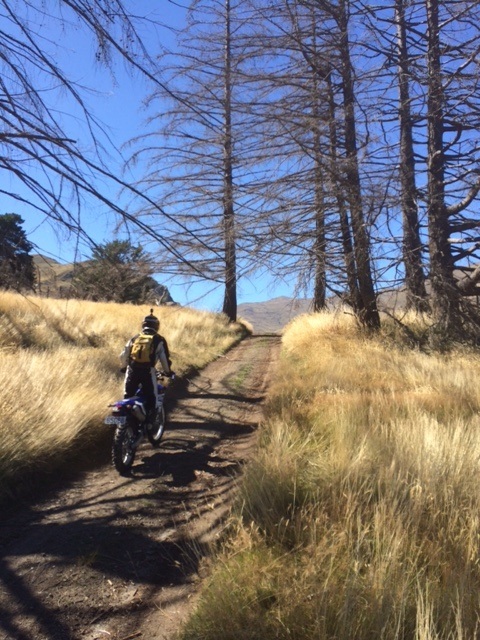 On the often winding trails we rode, with many elevation changes and nasty rocks that needed last second dodging, WR’s light weight and great engine response made me feel intimately connected to trail. The single thing I did not find improved on the new bike was seat height. For taller riders it will likely be no big deal, but for a relative shorty like me the new model is noticeably taller. While the pure off road YZFX models have been hogging the limelight there is a compelling argument in my view for more attention being given to the WRF. In essence the two models share the same YZ lineage with the WR getting well targetted enduro- specific tuning. For a veteran rider like me with less fitness than I once had the WR model is the more versatile machine. The more subtle WR suspension and engine tune are all but perfect for serious trail riding and tougher enduro conditions, a fine balance of agility, performance and tractability. I had almost despaired that Yamaha would again produce a truly competitive enduro model. That they have done so with a bike that matches and in some areas is ahead of the competition is I think especially important as it restores that sense of competition and provides the market with a truly credible alternative from Japan. Once again Yamaha have a serious pure-enduro that has all the potential to plant mile wide smiles on the faces of riders of all ages and abilities. Now I’m not knocking our one-day club and charity trail rides, they are plentiful and offer great value, but consider this. 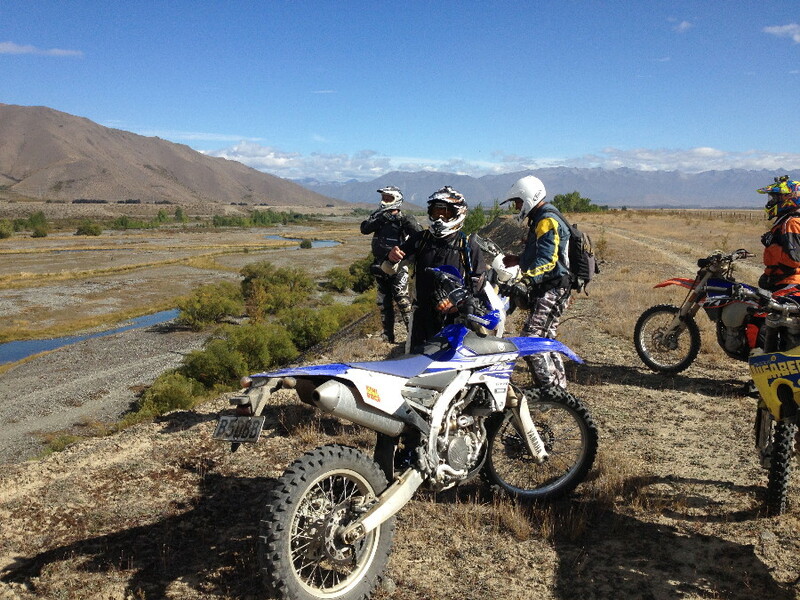 Most organised trail rides consist of around 30-80 km of trails, about as much as most organisers can find in one off completely off road area. But what about a really big day's trail ride, up to three hundred kilometres, no repeats, all of it fresh ground and can you imagine what it would be like to experience several full days of riding like this, back to back? 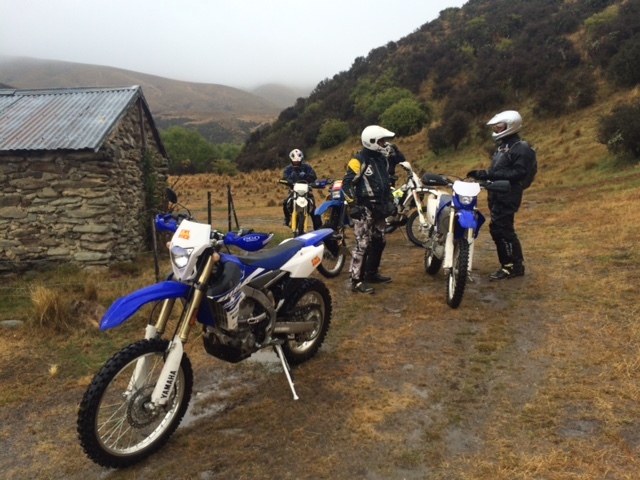 My test of the 2016 model road legal Yamaha WR250F was conducted over a five day 1500km ride through some the some of the best of NZ’s South Island high country. 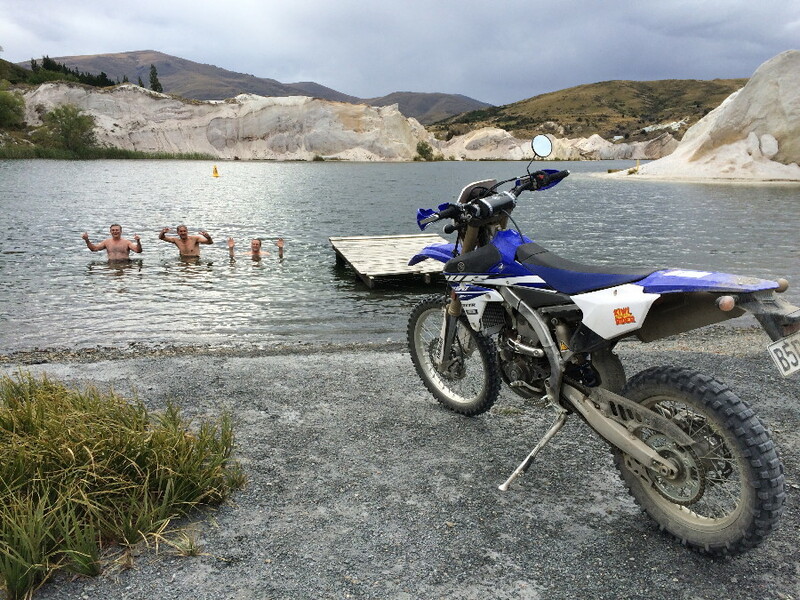 An adventure trail ride like this can only be done on a quiet road legal dirt bike. While we rode many hours of trails each day we were staying in towns each night and using short (as possible) stretches of public road and normal petrol stations for fueling up. 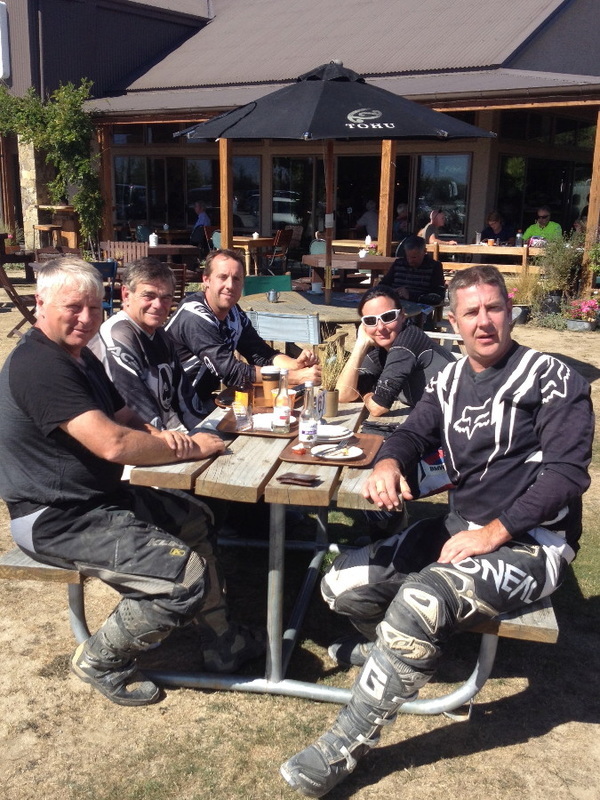 Thanks to our riding buddy Sonja Piontek for the photos.